Baby cot THB 400.- / night for all season. With Air-Condition, TV, Refrigerator, Hot & Cold Shower, Daily breakfast. Major international credit cards accepted Visa, Master Card only. 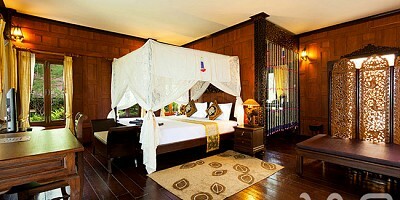 - Rates are quoted in Thai baht per room per night, inclusive of 10% service charge and taxes. - Reservation will be held until 4.00 p.m. unless a flight detail has been notified or deposit has been given in advance. - For children under 12 years, sharing the room with their parents without an extra-bed there is no charge, but ABF for the child shall will be paid directly to hotel. - Please check in before 5 p.m. otherwise your booking will be released. - Require a baby cot payable directly with the hotel upon arrival check-in only. - The hotel DO NOT have boat transfer or staff standby at the pier. and arrival time at Phi Phi pier. - In order to guarantee your reservation a credit card number with its name older and expiry date is needed. - Cancellations more than 20 days prior to arrival - Booking deposit is non refundable. - Cancellations 5 days or less prior to arrival - we charge 100% from your booking. - No Shows – We charge 100% every night that no show. - Early check out on 20 Dec - 20 Feb, no refund and we charge 100% from your booking. - Early check out on 01 Nov - 19 Dec and 21 Feb - 30 Apr, we charge 50% from your booking. - Cancellations more than 15 days prior to arrival - Booking deposit is non refundable. - Early check out on 01 May - 31 Oct, we charge 1 night from your booking. Remarks : If no show on 1st night because of late arrival but do not inform hotel, your booking will be cancelled.